With Songia replaced by TT, there's no clear alliance link for Sharf and TT, so we need to re-work a bit of the stuff that happens in South-Central Crataea over this period. I will update a timeline in the OP with AGREED canon. Discuss Canon BELOW. TT Godworship begins to spread in Uiri/Hakara/East Srf/Nampataland, probably because of TT state spending on spreading it. There'll be big ethnic tensions in this time in the area, maybe like 60s/70s as a result of the God Worship spread. This angers Srf immensely so Srfic intelligence (with Questarian authorities turning a blind eye) use Tzu Namdol to set up Oki Dar. They covertly install him in Uiri but it all goes wrong. Oki Dar btfos TT in Uiri and then turns absolutely nuts. Both Srf and TT try to suppress Oki Dar in Uiri and this begins the Uirian War. TT installs a friendly government in Hakara in order to help them have a land bridge to shutting down Oki Dar in Uiri. This is the proximate cause of the Hakaran War. Eastern Srf (Dharmat) is restive since before 21C. Oki Dar founded in 1959 by Uirian Dharmat Monk. The Oki Dar at this stage is entirely within Questers, running closed schools and indoctrinating chillens. Srf/Songia coup d'etat the Uirian king in 1967. Triggers general uprising. Oki Dar arrives in 1970s to fight against puppet regime (internal fight). Srf/Songia deploy forces to Uiri in 1980. Hakaran War begins in 1982. Questers invades Hakara. Oki Dar fighters in Uiri begin using Hakara as a rear base (supported by anti-communist forces). Srfic/Songian forces withdraw from Uiri in 1986. Oki Dar forces from Uiri redeploy to Hakara. 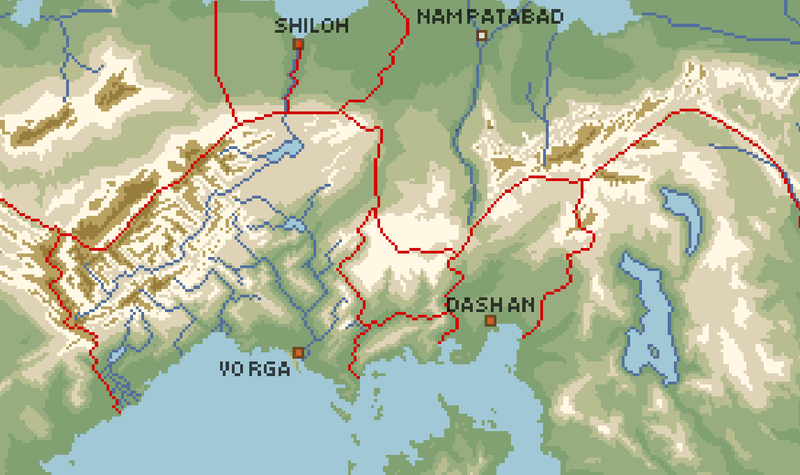 Oki Dar installed as Hakaran government by Questers in 1987. Begins genocide.